This DIY lip scrub recipe is one of my favorite summer projects. Essential oil lip scrub makes my lips silky smooth and is a perfect companion to lip balm. One of my favorite summer flavors is lemon. From lemon bars to fresh squeezed lemonade, I just can’t get enough! That’s why one of my ultimate favorite summer projects is a lavender lemon DIY lip scrub. It makes my lips silky smooth, and it’s the perfect companion for any lip balm. I’ve seen a lot of commercial lip scrubs made with some pretty harsh ingredients and unnatural fragrances. Not to mention the hefty price tag! It’s so much easier to do it yourself and so much better for you, too! My favorite lip scrubs are simple – made with only a few ingredients. You really don’t need a whole lot to get your lips feeling soft and smooth. 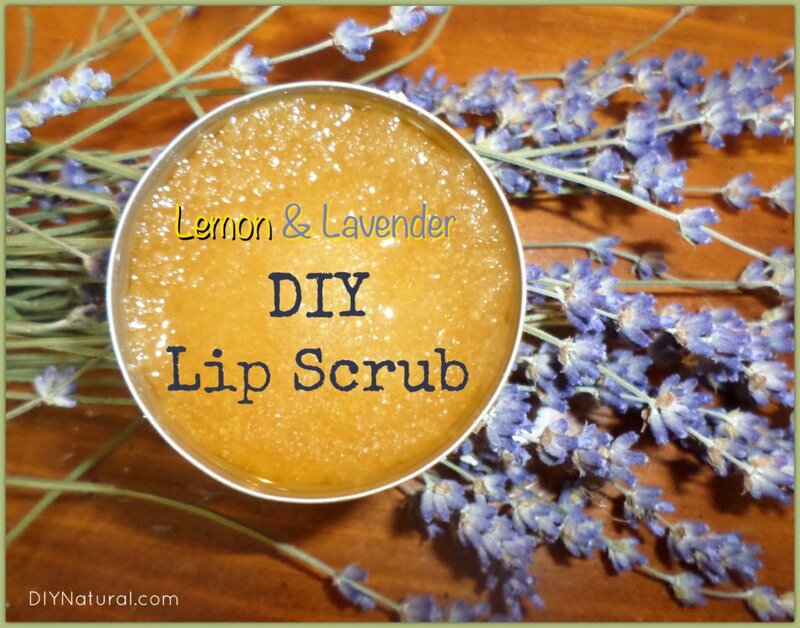 Some sugar, oils, and your favorite essential oils are all that is needed to create the perfect DIY lip scrub. For this recipe, I sometimes use freshly squeezed lemon juice and sometimes just plain essential oil. If I do use fresh lemon juice, I have to use up the lip scrub within a week or else it will spoil. If I want it to last longer than 1 week or if I want to give it as a gift, I’ll just use lemon essential oil and it will smell just as lemony. Another favorite summer scent of mine is lavender. My lavender plants are currently blooming and I’ve been filling my home with sweet smelling lavender bud bouquets. Not only do I love the smell, but I love using lavender essential oil to help soften and heal skin. Below is a breakdown of the importance of each ingredient in this DIY lip scrub. Feel free to play with this recipe to suit your own needs. Lavender is well known for its skin healing and nourishing properties. It works wonders on scars, dryness, and burns. Lemon gives this scrub its fresh smell. It helps to brighten dull skin and is a wonderful cleaning agent. The glycolic acid in cane sugar helps condition and protect skin. It gently exfoliates skin, getting rid of dry or dead skin cells. Don’t scrub too hard, though! Soft, gentle circles with this DIY lip scrub work best. Besides being a great exfoliator, glycolic acid helps with a variety of other issues such as clogged pores, acne, aging, and hyperpigmentation. This stuff is pretty much amazing for skin and health. Loaded with antioxidants, honey naturally fights bacteria and moisturizes. 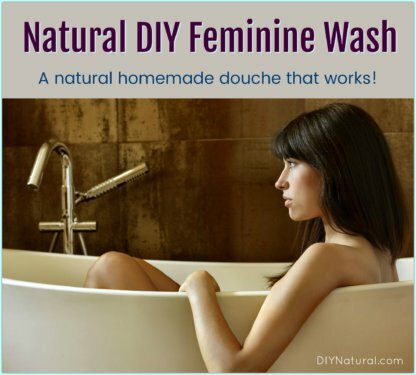 It draws up moisture from the skin and keeps it there. Of course, it’s also super sweet and tasty! Jojoba is one of my favorite oils to use in homemade beauty products. It’s excellent for sensitive skin and will leave skin feeling soft but not overly oily. Slowly stir in sugar until mixture reaches desired consistency. For me, 1 tablespoon did the trick, but if you like a harder scrub use more sugar. Store DIY lip scrub in a lip balm tin (like this) or glass jar. If omitting lemon juice, no refrigeration is necessary, but use within 1 month. **If using lemon juice, store in the refrigerator and use within 1 week. Please note that you should avoid the sun for a little while after using this DIY lip scrub because both lemon essential oil and lemon juice are phototoxic (meaning that they can irritate the skin when in direct sunlight). Lemon oil contains furocoumarin derivatives and is known to cause phototoxicity …The substances producing phototoxicity were identified by high-performance liquid chromatography as being oxypeucedanin and bergapten. 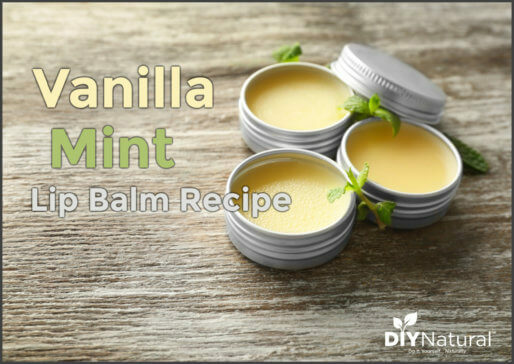 You can follow up the scrub with this Homemade Lip Balm Recipe or try another DIY Lip Mask and Scrub. 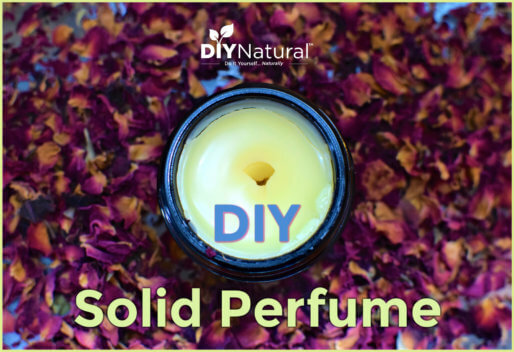 This recipe will also work just fine with other essential oils, so feel free to mix and match! Just be careful with the “hot” oils like peppermint, cinnamon, and clove, which could burn if you use too much of them. Andrea. The Benefits of Glycolic Acid for Your Skin. Holistic Health Herbalist. Naganuma M, Hirose S, Nakayama Y, Nakajima K, Someya T. A study of the phototoxicity of lemon oil. 1985;278(1):31-6. I just made this. I guess I didn’t mix the oil and honey well enough because it seems the sugar and honey mixed with each other, but the oil was just floating all around it? Anyways, the scrub still seemed to work wonders. I used only lavender, no lemon. Yes, MamaHonza, You’ll have to do a lot of mixing around. This blend tends to separate, so it is best to mix before each application. Sounds great. I’m finding that even in the Summer, my lips stay chapped and dry. This sounds like a good solution.